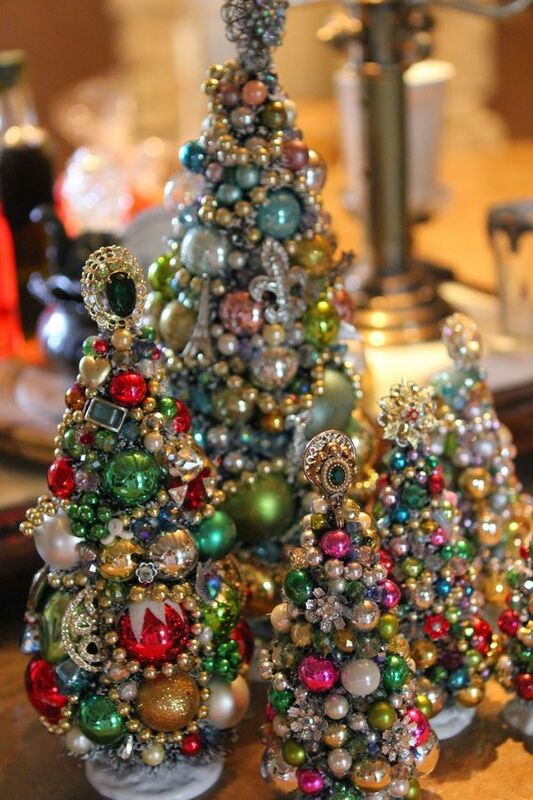 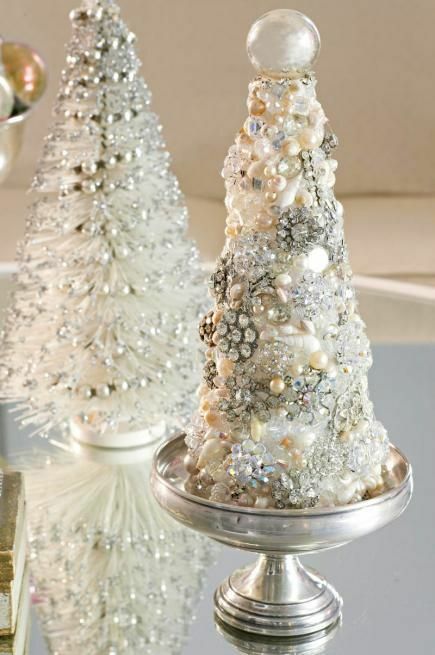 If you want to bring a glam vintage feel to your holiday decor, there’s a cool idea – make jewelry Christmas trees! 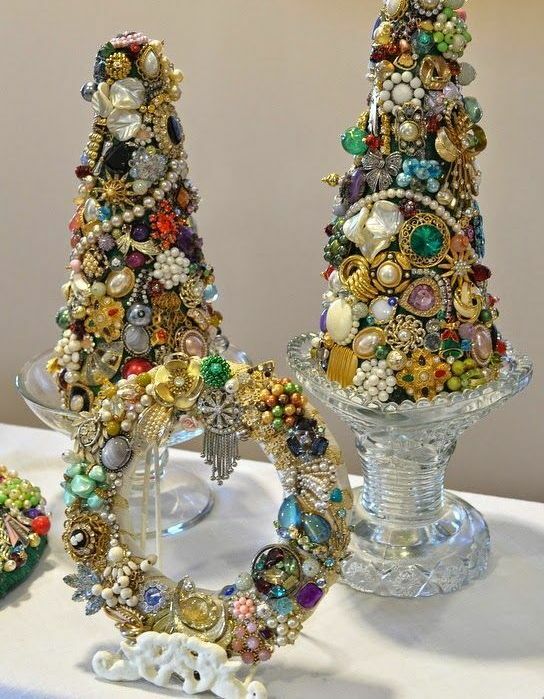 You can make some jewelry trees yourself and use them as additional ones or to decorate a mantel, a windowsill and a tablescape. 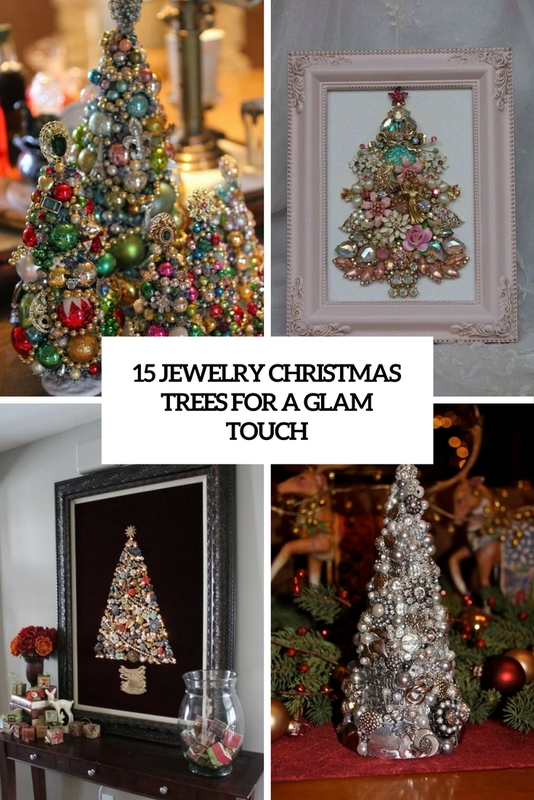 Here are some pretty ideas to try, let’s have a look and maybe you’ll get inspired. 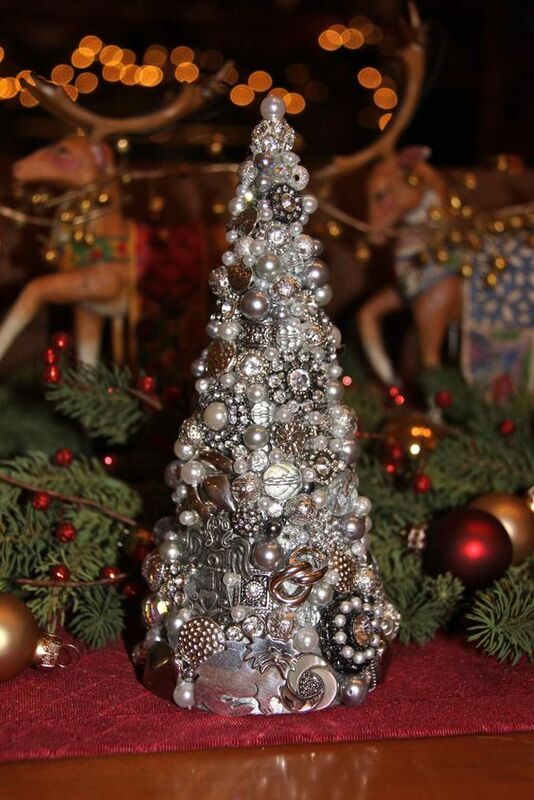 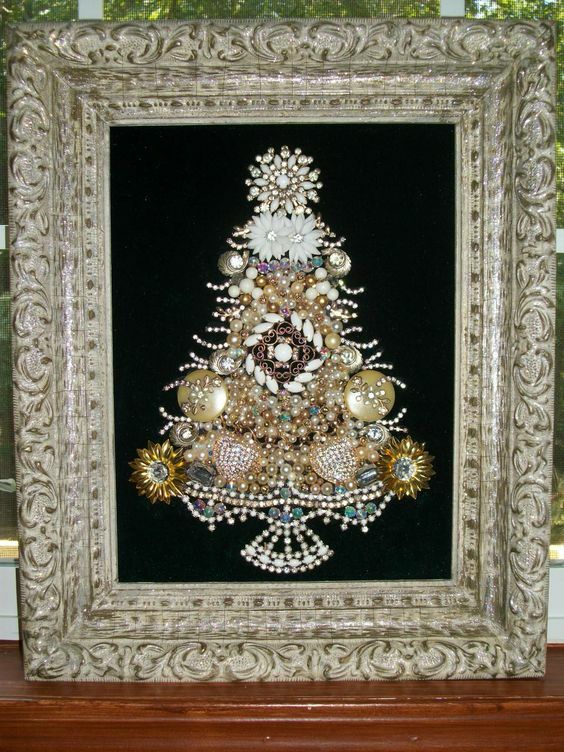 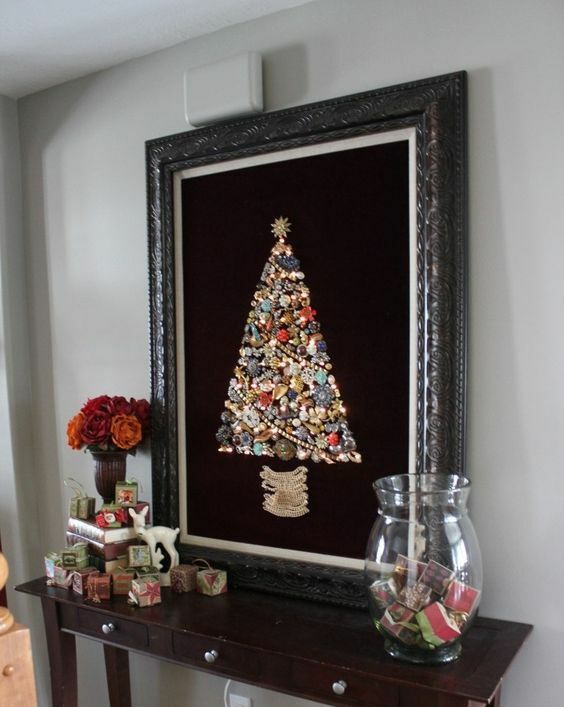 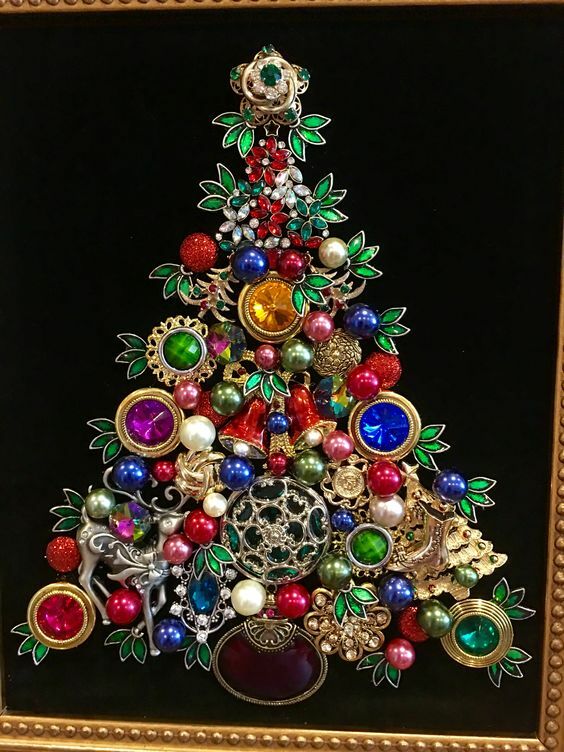 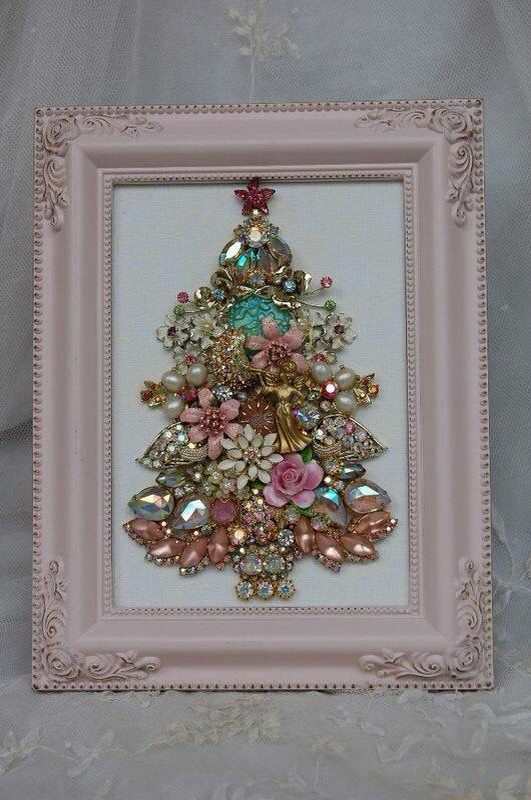 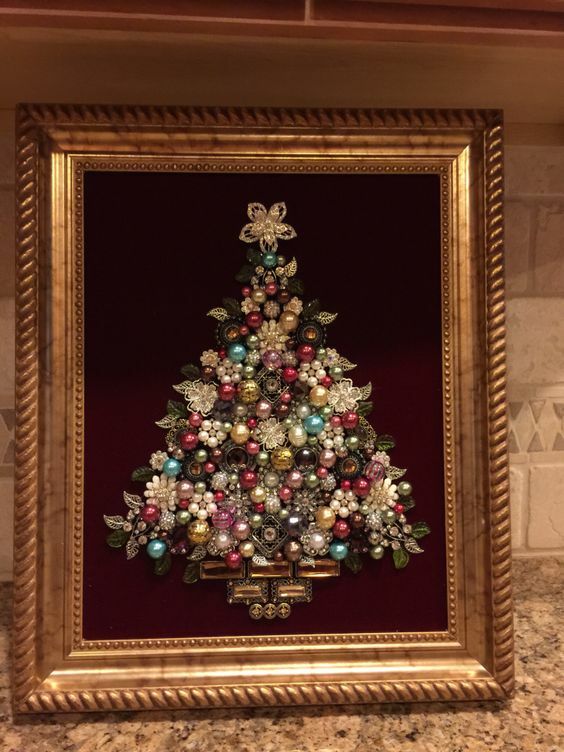 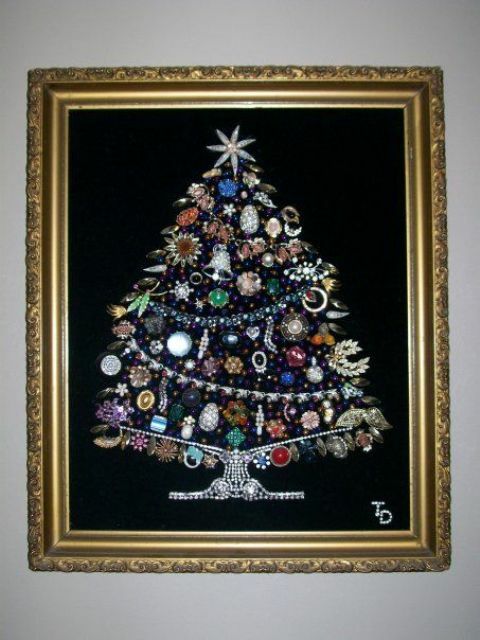 Make cute Christmas tree artworks of old jewelry, rhinestones, beads and pearls. 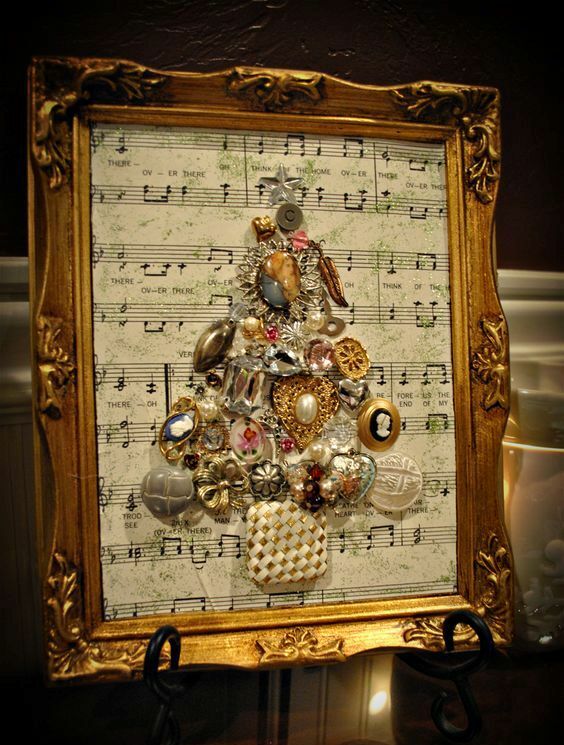 Create all kinds of combinations you like and personalize the tree as you want. 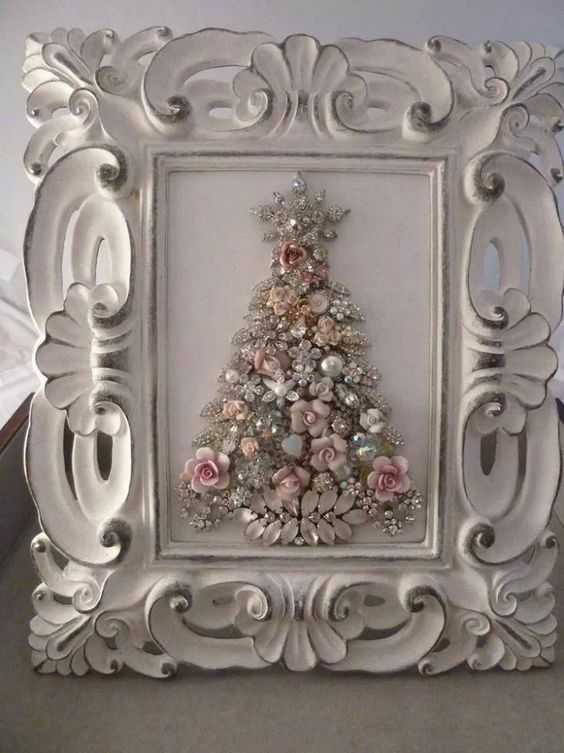 It can be a small scale art to decorate your mantel or a large tree in a frame to use instead of a usual one – everything depends here on your wishes and the amount of jewelry you have at hand. 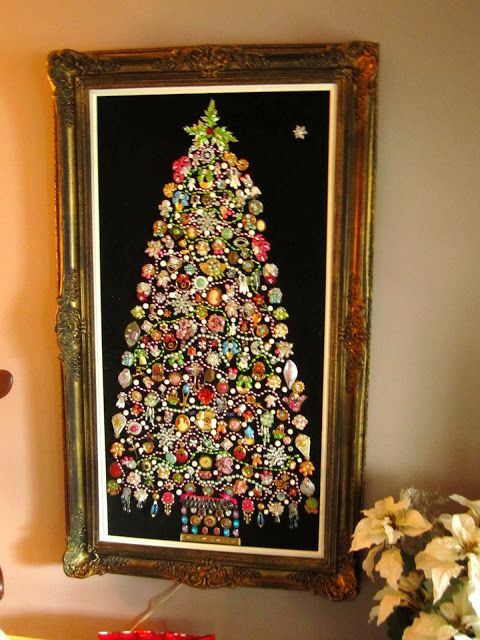 The shape and colors of the tree are up to you, best of all such trees look on black velvet, it makes them stand out. 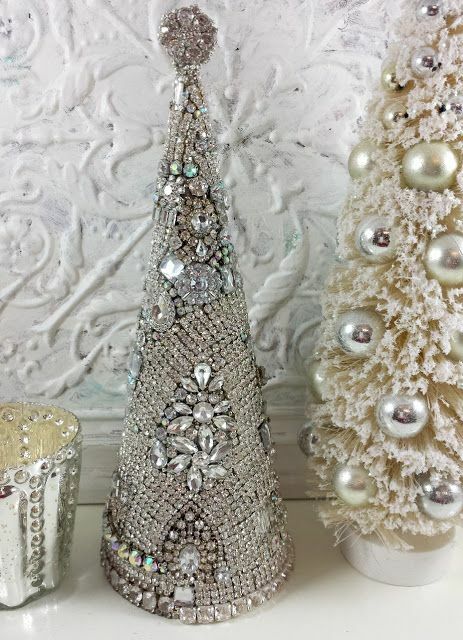 Another idea is making a jewelry cone tree – these are usually small cuties that look nice and are used for decorating tables, windowsills and mantels. 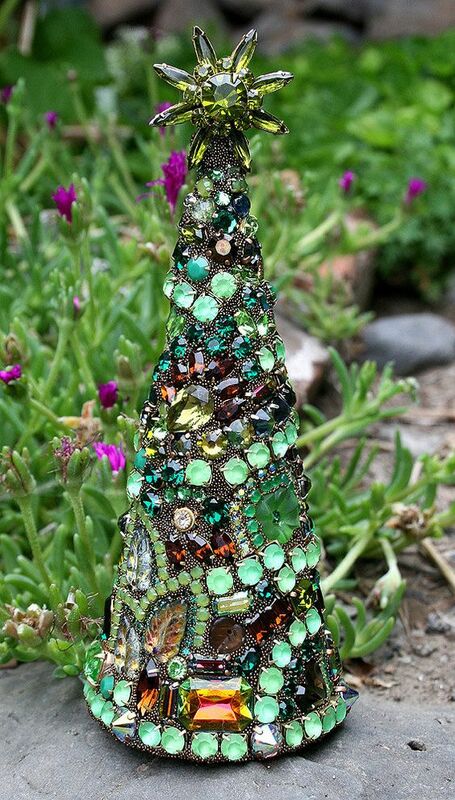 Make a bold shiny silver Christmas cone tree, or go for an emerald on, use beads and rhinestones of your choice to complete the tree.